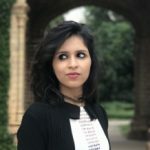 Do you experience constant itching in your lower legs? Have the symptoms not improved despite your best efforts? Then, you must read this article. Itchiness in the lower legs can occur due to various factors. It could be a result of an insect bite or an underlying health condition. If you want to know what has been triggering the constant itching in your lower legs along with some natural remedies to treat it, read on! If your skin came in contact with an allergen, it might turn itchy, inflamed, and irritated. These allergic responses are termed as allergic contact dermatitis. Such irritants may include certain plants, metals, soaps, cosmetics, and fragrances. Xerosis is the medical term used to describe unusually dry and scaly skin, and this condition is another common cause of itchy legs. While this condition does not cause any rashes, if you continue to scratch the affected area, it may cause bumps, limes, and other physical symptoms. Xerosis is more common in the older lot as the skin tends to get drier with age. An underlying medical condition like diabetes could also trigger itching in your lower legs. High blood sugar levels are known to cause itchy skin. Itchiness can also be triggered by other complications of diabetes like poor blood circulation, nerve damage, or kidney disease. Itchy skin could also be a symptom of other medical conditions like hepatitis, lymphomas, hypothyroidism, and hyperthyroidism. Bites from insects like fleas, chiggers, and mites can also cause itching in the lower legs as well as other parts of your body that may be exposed to the insects. This is especially common in individuals suffering from varicose veins or deep vein thrombosis. Stasis or gravitational eczema is known to cause itchy, swollen, red/purplish patches on the lower legs of the affected people. If you don’t follow basic hygiene or don’t bathe daily, the build-up of dirt, sweat, and dead cells on your legs can cause irritation and itching. Heat, dry air, or contact of the skin with clothing can aggravate these symptoms. Itchiness is not only uncomfortable, but it also has the potential to hamper your self-confidence. There are many over-the-counter formulations available to help soothe the itchiness that may be prescribed by your physician. However, if you are looking for a quick fix to your problem with some ingredients available right at home, we are here to help. Listed below are some natural remedies that can help soothe your itchy lower legs. Take a tablespoon of virgin coconut oil and massage it gently into your lower legs. You can do this twice daily. 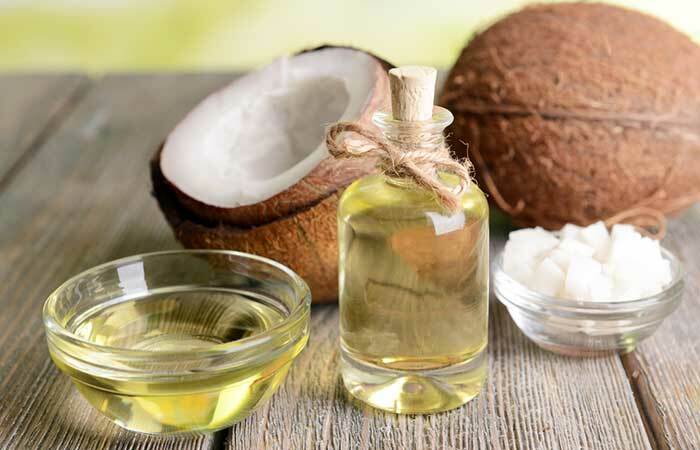 The anti-inflammatory properties of coconut oil can help soothe the itchiness and inflammation in your lower legs (1). The moisturizing properties of the oil can help address underlying issues like xerosis that could be causing the itchiness (2). Moisturizing can also help a great deal in relieving itchy lower legs, especially if dry skin or xerosis is the root cause of the problem (3). You can use either over-the-counter moisturizers like petroleum jelly or natural alternatives like coconut oil and olive oil. You can do this 1-2 times daily for best results. 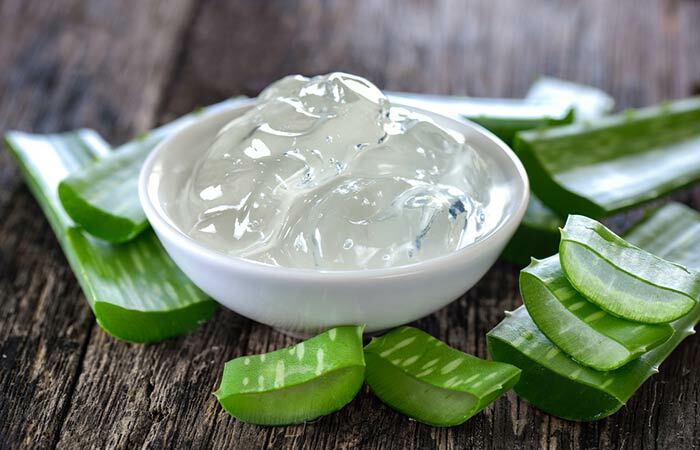 The moisturizing and anti-inflammatory effects of aloe vera extracts are well-known (4). These properties can be quite beneficial in soothing the itching in the lower legs. Mix tea tree oil with coconut oil in the specified quantities. Apply the blend to the affected area. You can do this twice daily, once right before bedtime. 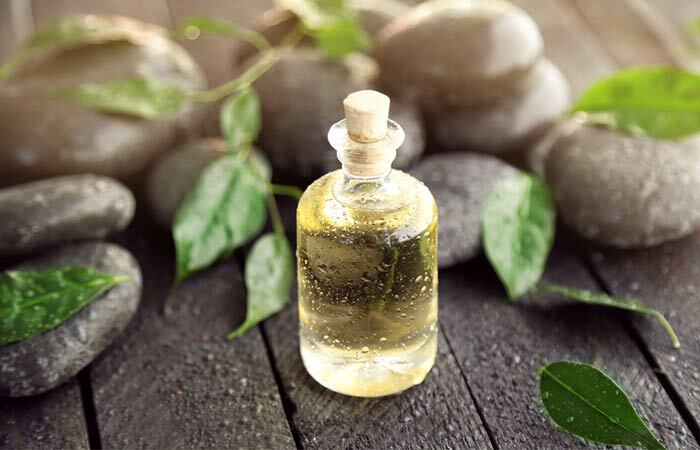 Tea tree oil is an excellent remedy for treating multiple skin disorders. Its anti-inflammatory and antimicrobial nature can be effective in treating the itchiness in your lower legs (5). While these remedies work their magic in alleviating the itching, here are some tips that may help prevent recurrence of the condition. Wear comfortable clothing made of natural fibers like silk or cotton to bed. Keep your room temperature cool as excessive heat can aggravate itchiness. Avoid consuming caffeine and/or alcohol right before you go to bed as they can cause your body temperature to increase. Stop use of cosmetics, perfumes, or any other products that have resulted in an allergy earlier. Don’t scratch your legs despite the urge to do so. Follow good personal hygiene habits like showering daily. Wear protective clothing when you go hiking or into the woods. In the following cases, you will have to seek medical intervention immediately. The itching does not show signs of improvement even after two weeks. The itching begins to interrupt your sleep. You observe other symptoms such as weight loss, weakness, a rash, or fever. The itching begins to result in bleeding in some parts of your legs. Intense itching in your lower legs or any other part of your body can be a real struggle to deal with, especially when it refuses to ease for days. We hope the tips and remedies discussed in this article help in alleviating the condition. If nothing seems to help, it is best to seek medical attention to prevent further complications like bleeding and scarring. Did you find this post helpful? Don’t forget to share your thoughts with us in the comments section below. Why are my legs so itchy at night? Your body’s natural functioning tends to change at night. For instance, your body’s temperature and the blood flow to your skin increase at night. This can result in a rise in your skin temperature, which can make it itchy. At night, your body also releases more cytokines and decreases the secretion of corticosteroids, thereby resulting in inflammation and itchiness. In addition to these changes, other underlying health conditions like the ones mentioned above can also contribute to itchy lower legs and ankles at night. Does poor circulation cause itching? Yes, poor blood circulation can also cause itching. This is why conditions like varicose veins and diabetes that are known to cause poor blood circulation in the body often cause itchiness as well. What to do for itchy legs after shaving? To treat itchy legs after shaving, begin by exfoliating your legs with a loofah or washcloth. Pat your legs dry and follow up with an alcohol-free moisturizer like unscented aloe gel. “Anti-inflammatory, analgesic, and antipyretic activities of virgin coconut oil” Pharmaceutical Biology, US National Library Of Medicine.